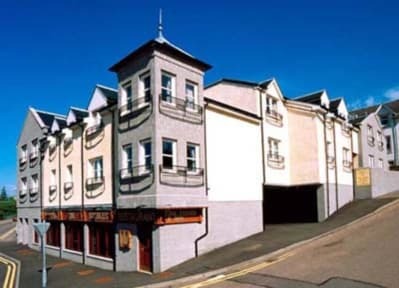 Very nice place to stay in Fort William!! The city is the perfect location to discover the Highlands and the hostel is located at 3-4min by walk from the city center and the train station. The atmosphere is very pleasant. It's quiet and there is a beautiful view on the Highlands! Fabulous staff, comfortable beds, quiet rooms, the bathroom is clean and there is a kitchen and a room to eat. I recommend this place and if I come back in the Highlands, I'll stay here again for sure! Very nice hostel, well located. Staff is nice and helpful. Bedrooms are a bit tiny though. Just next to the town center, it's the ideal place to sleep for a fair price. The rooms were quite cold at arrival, but other than that, everything was perfect. Thanks again! C'est dommage. Le site est bien, les chambres sont très confortables par contre les sanitaires et la cuisine sont en train mauvais état et la propreté de ces 2 locaux laissent à désirer !! That was a nice hostel. Rooms are cleaned as well as bathrooms. The location is nice too. However, I find the price a little bit expensive compared to other hostels which provide the same advantages. Bon établissement au centre de Fort-William. Personnel sympathique. L'endroit est propre bien qu'un peu vieillot. On y dort bien dans des chambres de 4 avec de bons lits en bois. Very well placed in Fort Williams. 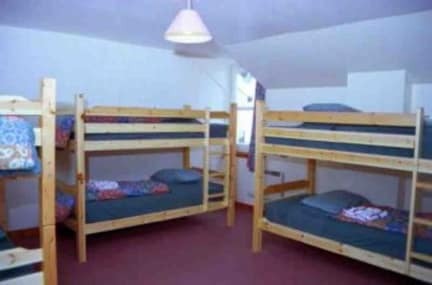 But: - the rooms are very small, the bunk beds were so small that I knocked my head several time (and I am not tall) - the toilets are in the same rooms as the showers like in a camping !!! What the f**k !!?!?!?! - only 2 keys for 4 people, sometimes you need to ask the staff to open your room. That's not practical at all. (- no breakfast I guess) For 1 night that's ok but not more. Le point positif est l’emplacement, à 5-10min à pied de la gare et de la station de bus. Sinon, je me suis retrouvé dans un « dortoir » en fin plutôt un placard ! A peine la place pour poser ces affaires. Les lits sont confortables mais pas recommandé pour les grandes personnes !